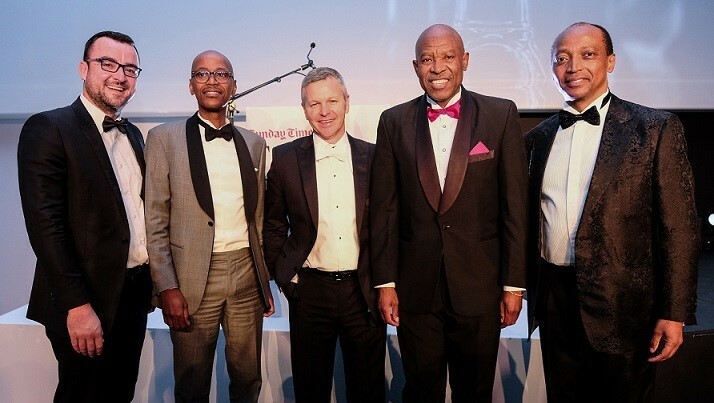 Governor of the South African Reserve Bank, Lesetja Kganyago, has been awarded Business Leader of the Year at the Sunday Times Top 100 Companies Awards, which took place at The Empire venue in Parktown. The Finbond Group was announced as the Top Company of the Year, while Dr Patrice Motsepe was honoured with the Lifetime Achievement Award. The Sunday Times Top 100 Companies is where industry leaders gather to celebrate the JSE-listed companies that have performed well in delivering the highest shareholder returns over the past five years. The Sunday Times Business Leader of the Year Award is considered to be the top accolade as recipients are decided by CEOs of the Sunday Times Top 100 Companies from the previous year. Kganyago joins a list of business leaders including Pravin Gordhan, Johan van Zyl, Michael Jordaan, Phuthuma Nhleko, Johann Rupert, Brian Joffe, Graham Mackay, Maria Ramos, Adrian Gore, Whitey Basson, and Dr Christo Wiese. South African mining magnate and philanthropist, Dr Motsepe, received the Sunday Times Top 100 Companies Lifetime Achiever Award, as decided by the Sunday Times and two independent panellists. Dr Motsepe is the founder and executive chairperson of African Rainbow Minerals, non-executive chairperson of Harmony Gold, and deputy chairperson of Sanlam. Ron Derby, editor of the Sunday Times' Business Times, says, "It seems the name for Motsepe has been in the business community for an eternity, but it is a name that only came to the fore in dying years of the previous century with his purchase of an unwanted gold mining asset from Anglo." Derby adds, "In the years that have followed, he has managed to grow a significant mining business through African Rainbow Minerals and, like titans before, is amid a diversification drive that has seen him moving into banking. 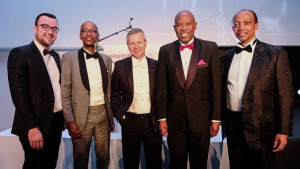 Looking at previous winners of this award, the panel could only come to one conclusion; that his name belongs among them, as one of the few, black businessmen that have managed to emerge from more than 20 years of the new South Africa." Previous winners of the Sunday Times Top 100 Companies Lifetime Achievement Award include Dr Johann Rupert, Dr Christo Wiese, Bobby Godsell, Brian Joffe, Nelson Mandela, Allan Gray, Stephen Koseff, Richard Maponya, Bill Venter, Nthato Motlana, Donald Gordon, Sam Motsuenyane, Koos Bekker, Raymond Ackerman, and Anton Rupert. Finbond Group (JSE: FGL) received the 2017 Sunday Times Top Company Award for the performance it delivered to shareholders over the past five years. Finbond shares opened at eight cents in 2012, and closed at 215 cents at the end of August 2017, with an annual compound growth of 110.34%. This means that R10 000 invested in 2012 would have delivered R411 699 in 2017. Adaptit Holdings (JSE: ADI) and Fortress Income Fund (JSE: FFB) placed second and third respectively. The Sunday Times Royal Companies are those that have placed in the top twenty positions of the Sunday Times Top 100 Companies for three consecutive years. The companies that have maintained consistency include Fortress Income Fund Limited, Naspers Limited, Mondi PLC, Afrimat Limited, Trustco Group Holdings Limited, and PSG Group. The Sunday Times Top 100 Companies event's MC was Nik Rabinowitz. Full results of the Sunday Times Top 100 Companies will appear in the next edition of the Sunday Times newspaper on Sunday, 12 November. For more information, visit www.timeslive.co.za. Alternatively, connect with them on Facebook, Twitter or on Instagram.